Ted Walsh, who worked with the Mariners from 2003-15, has seen an outpouring of support from the three pro teams he worked with. 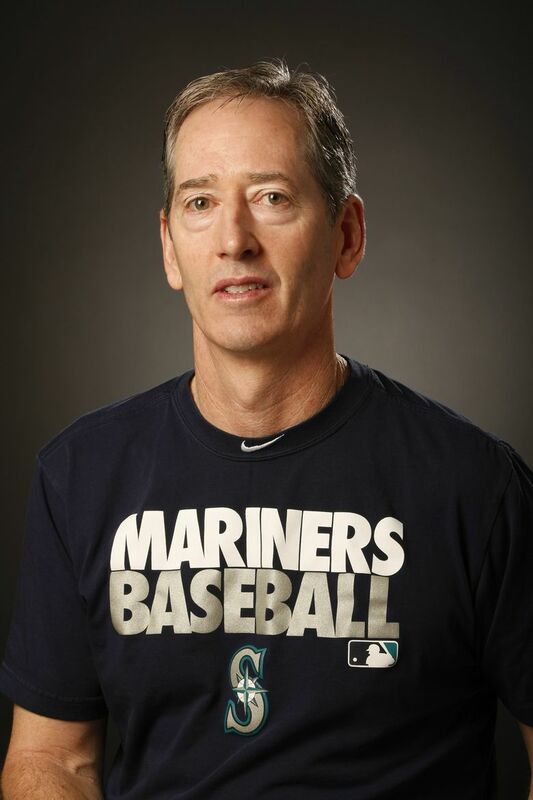 For nearly four decades, Ted Walsh tended to the needs of professional athletes as equipment manager with the San Francisco 49ers, Cleveland Indians and, from 2003 to 2015, the Mariners. Now, in a time of dire need for Walsh and his family, many of those players — indeed, the entire sports community — are returning the favor. It has been just under two weeks since Walsh lost his Santa Rosa, Calif., house in the devastating and deadly Sonoma County fire. Since then, his family of four has had a gypsy-like existence, moving around to various locales while trying to figure out how to proceed with all the sudden logistical issues that have cropped up. 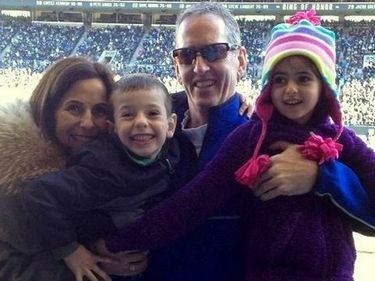 The good news superseding all of the hassles, of course, is that the Walshes — Ted, wife Cybele, children Davis (9) and Sabina (8), and dog Lady — got out safely, albeit with frantic urgency in the middle of the night. He’s not complaining about the inconveniences and worries that have followed — most pressing, what to do about his kids’ schooling, considering their elementary school was badly damaged and remains closed. Walsh is fully cognizant that tens of thousands of other families are in similar straits. “We’re really not in this boat alone,” he said. But that doesn’t mean the loss — financial, emotional and material — isn’t real. And that’s where family and friends, many from the sports world, have stepped in. Sandra Beltre and Kerry Sexson, wives of former Mariner players Adrian Beltre and Richie Sexson, started a YouCaring page for the Walshes that has raised more than $50,000. The donor list is filled not only with current and former players such as Ichiro, Mike Sweeney, Drew Smyly, Jamie Moyer, Franklin Gutierrez, Buster Posey, Brandon Crawford, Eric Byrnes, Sean Casey and Jack Wilson, but also, just as touchingly to Walsh, many of the clubhouse attendants and batboys with whom he worked in Seattle. 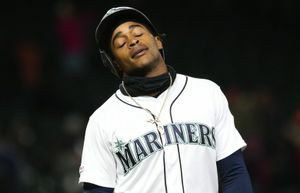 Walsh was in a clothing store trying to replenish some of their basic necessities like underwear and socks, having evacuated with just the clothes on their backs, when Ken Griffey Jr. called. He offered any help Walsh needed and took an address to send items. Walsh has heard from a steady stream of athletes, including 49ers superstars Joe Montana and Ronnie Lott and former Seahawks coach Mike Holm­gren. While they wait for a rental home to be ready, the Walshes are staying in the guesthouse of former Mariner David Bell, who lives in a part of Santa Rosa that was spared. 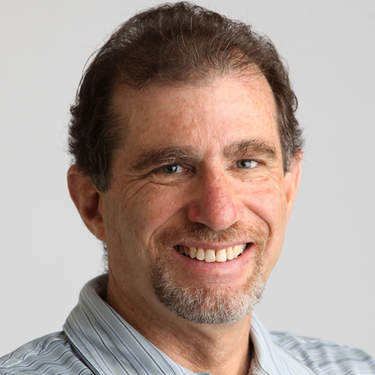 When I spoke to him via his cellphone, Walsh had just picked up a shipment of Nike and Under Armour clothing items at the offices of the San Francisco Giants, sent to him by a contingent of MLB clubhouse managers. The Baseball Assistance Team (B.A.T. ), whose president is former Mariner Randy Winn, has provided help as well. Walsh, in fact, lost a treasure trove of sports memorabilia in the fire. Gone was a picture of him with Muhammad Ali, along with a signed boxing glove and boxing shorts from when the champ had visited the Indians’ clubhouse. That’s irreplaceable. Also gone was a large cache of signed jerseys from his various stops, which Walsh figures he can replenish over time. 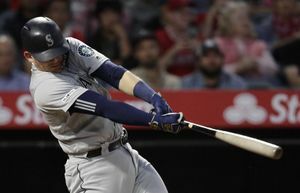 From his Mariners days, Walsh lost signed bats and jerseys from Edgar Martinez, Ichiro and Griffey, and signed and framed lineup cards from the perfect games thrown by Felix Hernandez and Philip Humber at Safeco Field. He lost the gold medal from last year’s World Baseball Classic that he got for his work with Team USA. On a happier note, he just found out that many of the treasured pictures of him from his 49ers days that were lost are still in the files of the photographer who took them. He’s offered to reproduce them. Such was the suddenness of the blaze that there was no time to save anything. On Oct. 8, Walsh had attended a fundraising dinner in Santa Rosa put on by Lott, a Pro Football Hall of Famer and one of many former 49ers with whom Walsh remains close friends. At the end of the evening, Walsh and his wife dropped off former MLB pitcher Scott Erickson at his hotel and returned to their home in the Fountaingrove neighborhood of Santa Rosa. At 2 a.m. Walsh was awakened by a frantic pounding at his door. A man was going house to house, telling residents to leave immediately. Walsh is still not sure who that was, probably a sheriff or fire-department personnel — he wants to thank him for saving their lives. Eventually, the family found a hotel in nearby Windsor, where they stayed a couple of nights before moving in for a while with a friend in Los Altos. They feared the worst for their home, and that was confirmed by a neighbor who hiked up through the hills the next day and reported that the entire neighborhood had been wiped out. Walsh had moved to Santa Rosa in 2015 when he parted ways with the Mariners after 13 years with the ballclub. He is now operations manager of the Wikiup Tennis and Swim Club in Santa Rosa, which miraculously was spared by the fire. In fact, Walsh said one of the eeriest aspects of the fire’s aftermath is seeing random houses that were somehow unscathed. The Walshes lost their home, and all that was in it, a devastating blow that was shared by far too many. 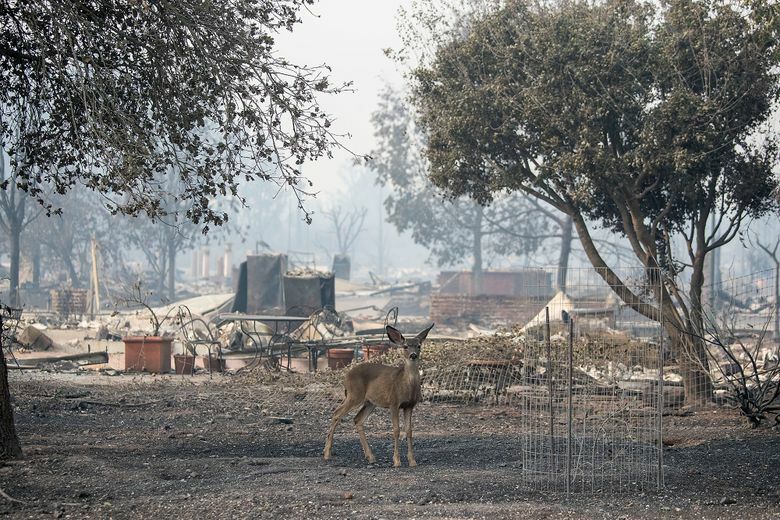 But all things considered, in the deadliest fire week in California history, they also realize how lucky they were.